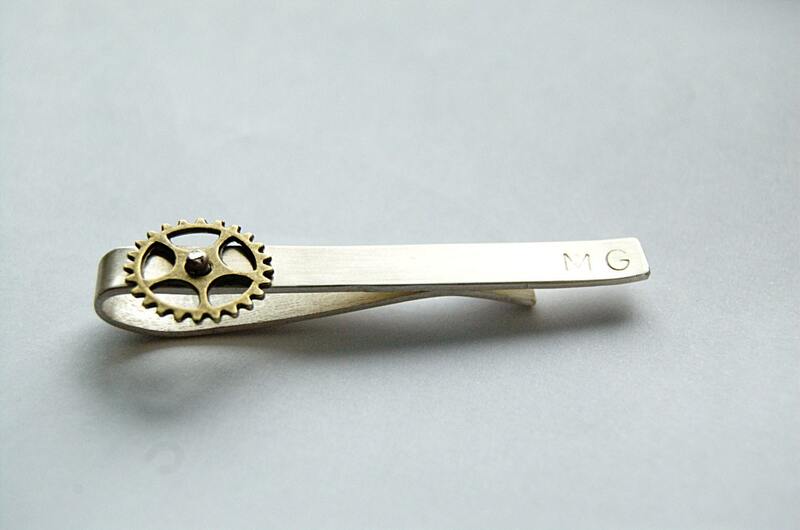 Sterling silver Monogrammed tie bar with steampunk charm is made from high quality sterling silver and completely by hand. This steampunk tie clip has a watch gear pewter charm that rotates freely on the silver shaft -- it is not glued to the base. 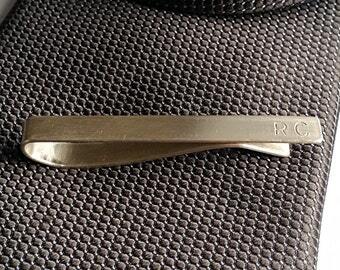 This sterling silver skinny tie clip measures 2.2" (5.7 cm) in length and 0.2" (0.57 cm) in width. Please note which initials you want on the steampunk tie pin on the checkout. You found a wonderful and unique gift for a groom or father of the bride. Buy Drop of Amber ❤❤❤ Buy quality ❤❤❤ Buy natural!